Curry is a generic western term used to describe a variety of Southern Asian dishes. Their common feature is the combination of onion, garlic, ginger, ginger and tomato with various fresh and dried spices, herbs and chillies. 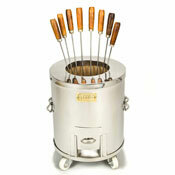 Any kind of meat, fish or vegetables could be cooked in this 'base' and personalised to taste. 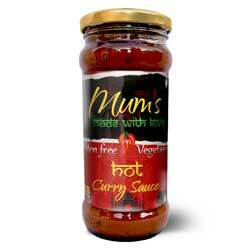 Mum's Curry Sauce is the prepared base with which you can cook any of your favourite recipes. Mum's Curry Sauce is the prepared 'base' (Ready made Onion Curry Base / Ready made Onion Gravy Paste) with which you can cook any of your favourite recipes. Why not use Mum's Curry Base with Mr Huda's Pastes to create the authentic taste of the British Indian Restaurant curry. Simply heat a jar of Mum's Curry Sauce, add your chosen main ingredients and cook for 5 minutes. Then add water as required and simmer for 20-30 minutes until cooked through. Store the jar in a cool and dry place. 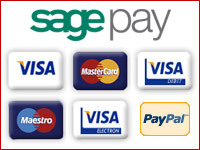 Once opened, refrigerate and use within 3 days. Dopiyazza means two onions. It is a dish in which onions are used in twice the amount of any usual Indian dish and added at two different intervals. • Slice 2-3 medium sized red onions in to 4 halves and cook them in 1 tbsp oil in a pan, then keep aside. • Heat a pan and add Mum's Curry Sauce. • Add chicken, lamb or paneer and salt to taste. • Cover the pan and let it cook for 15 minutes on low heat. • Now add the onions that were kept aside. Cover and cook for another 15-20 minutes. • Once cooked, garnish with coriander leaves and serve the dish hot with naan or rice. Ingredients: Onions, Plum Tomatoes, Vegetable Oil, Fresh Turmeric, Garlic, Ginger, Fresh Coriander, Green Chillies, Paprika Powder, Red Chilli Powder, Coriander Powder, Turmeric Powder, Salt, Garam Masala, Spices. "Dear Spices of India, Just wanted to drop you a quick note to say thank you for such great products and speedy delivery - very refreshing!! I ordered on Monday morning and the parcel of goodies arrived the next morning. My daughter arrived home from school to the smell of a lovely curry! Thank you."